Video games have mostly been developed with a one-dimensional view of their target audience. Undoubtedly, this has created boundaries for those with physical disabilities. People with severe injuries, as well as conditions such as cerebral palsy, muscular atrophy and paralysis have largely been starved of access by this huge industry. However recent years bear witness to an emerging era of inclusive gaming: one starting to reflect the diverse needs of a global market. Playable access is a crucial topic given the social and emotional benefits presented by today’s games and their communities. These include social expression and allowing everyone to escape the pressures of everyday society. Inclusive gaming represents the industry’s adoption of a new ethos, bridging the gap for those with disabilities and allowing them to get back into their favourite games, or experience them for the first time. Warfighter Engaged and organisations such as SpecialEffect are among those currently spearheading this movement, working hard with occupational therapists to benefit those most in need. Significant works from recent years go alongside a plethora of previous creations, made with the common goal of getting disabled gamers back on their consoles. WE helps provide a service for severely-wounded war veterans, many of whom previously loved gaming but were hindered by physical and mental injuries. 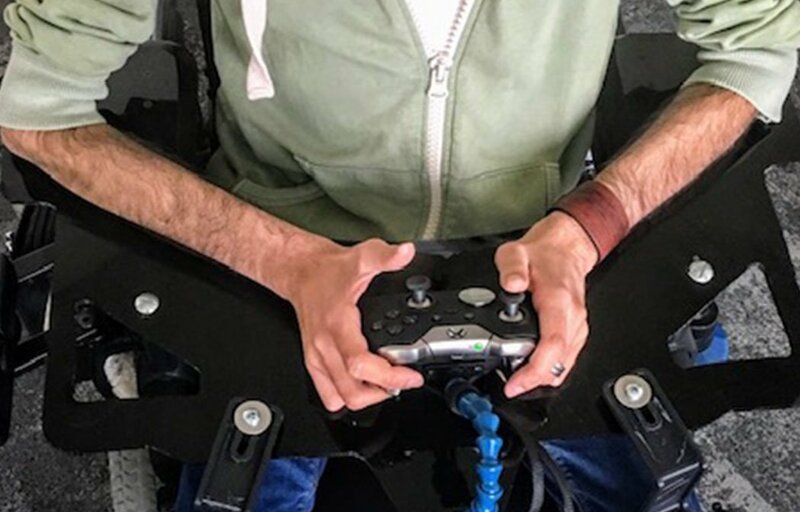 tary Medical Centre, who asked them to modify a controller for their patients – gamers who had lost their limbs or had brain and nerve injuries sustained during war. Upon creating the prototype, he was then asked for another, then ten more – and the rest was history. Being an advocate of inclusive gaming can be a hugely rewarding experience, revolutionising someone’s gaming experience, or simply enabling them to take up the hobby. But Ken recalls his most fulfilling project was working with a teenager with a rare skin disease. He said: “His hands had begun to fuse into fists so he lost the ability to pull triggers and thus play Fortnite with his friends. Another organisation making waves in the industry, SpecialEffect (SE), also has life-changing goals in mind. It has helped those with varying physical disabilities with technology including Windows-based EyeMine software, making use of Tobii Eye-tracking equipment to allow users to play Minecraft by simply using their eyes. velations in social awareness and ground-breaking technology, most recently Microsoft’s Xbox Adaptive Controller, are paving the way for the inclusive gaming initiative. As we look to the future, Ken suggests the ability to integrate more voice commands would be helpful, in addition to making certain aspects of video games more flexible. 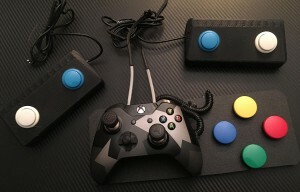 This would help people with disabilities continue to play games that would normally stop them in frustration. While the inclusive market of gaming still has a long way to go, it is thanks to Warfighter Engaged and SpecialEffect that diversity within the industry is growing – and long may that continue.